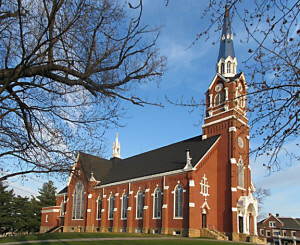 Saints Peter and Paul was built in 1895 and has been restored to its original glory. Basilica, the Living Eucharist deserves reverence and admiration. We do not need to worship in a magnificent church for our faith to shine and grow. What awakens our spirituality is the key. However, if we have the opportunity to restore the opulence and grandeur to worship as our ancestors enjoyed, it is only fitting we carry on the faith of our families and take pride in preserving our heritage. 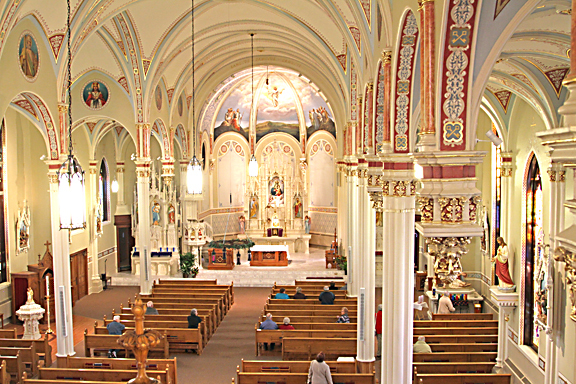 A shining example of this is Saints Peter and Paul Church in Independence, Wis. The church, built in 1895 by Polish settlers, is in the final stages of a massive renovation that began in 2010. 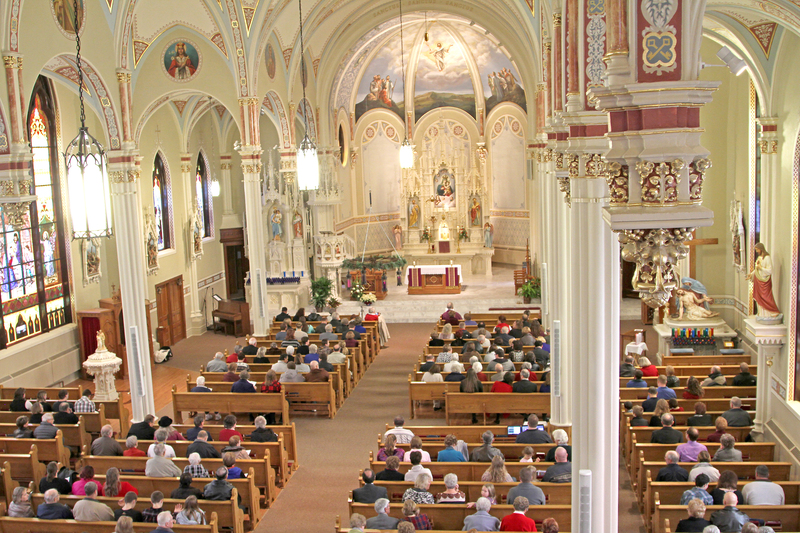 The second-largest church within the Diocese of La Crosse was in disrepair and could have easily succumbed to the elements and been shuttered. But the parishioners, the community and total strangers stepped in to prevent this from happening. 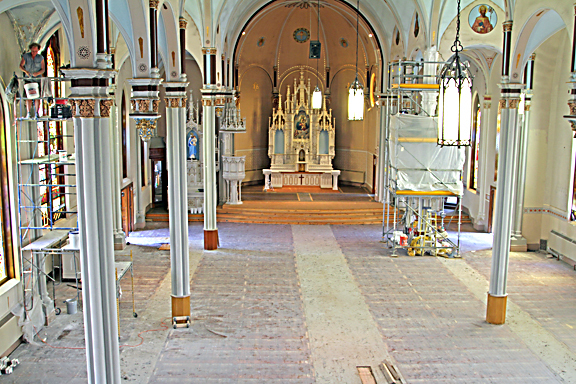 Saints Peter and Paul Church stands stripped of pews and furnishings as the renovation of the nave and altar begin. From re-leading 33 massive stained-glass windows, to new electrical, to replastering columns and painting, to stripping the interior to the bare wooden floors and putting everything back together … every inch of the 121-year-old church was touched in one way or another. newly renovated interior captures their soul and takes their breath away. All eyes are drawn upwards toward heaven. The church was restored from top to bottom, from new carpeting to replastered columns and new paint.. Paintings of saints decorate the nave and the Ascension of the Lord hovering high above the altar conveys a sense of holiness to those who enter. The renovations bring the church back to its original glory. The resurgence of the church’s splendor was not accomplished by one person. Parishioners and community members took on this undertaking, along with relatives and people from outside the Independence community who have a deep connection to the parish. Even those who do not belong to the parish stopped to help when they drove by and saw what was happening. These people are examples of what the Catholic Church stands for: sacrificing for the good of others. “The church is a reflection of the beauty of our hearts. It would be a shame to address the building and not the soul,” emphasizes Father Woodrow Pace, the shepherd of Sts. Peter and Paul Parish. 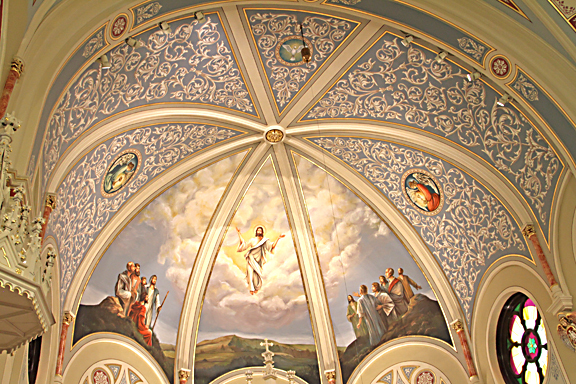 The Ascension of the Lord adorns the renovated ceiling above the altar and coveys a sense of holiness to those enter. it. Though Mass and celebrating the sacraments are the basis of our faith, bringing our beliefs outside the walls of a church not only grows our spirituality, but transcends to everyone we meet. Father Pace agrees the restoration will allow the church to last for generations to come. The pride in making the building strong is a symbol of faith and something parishioners have a heart for protecting. Throughout future generations, this beautiful church will not be just a building, but a place where faith lives. What is the Ministry of Lector? What is the Rite of Admission to Candidacy?